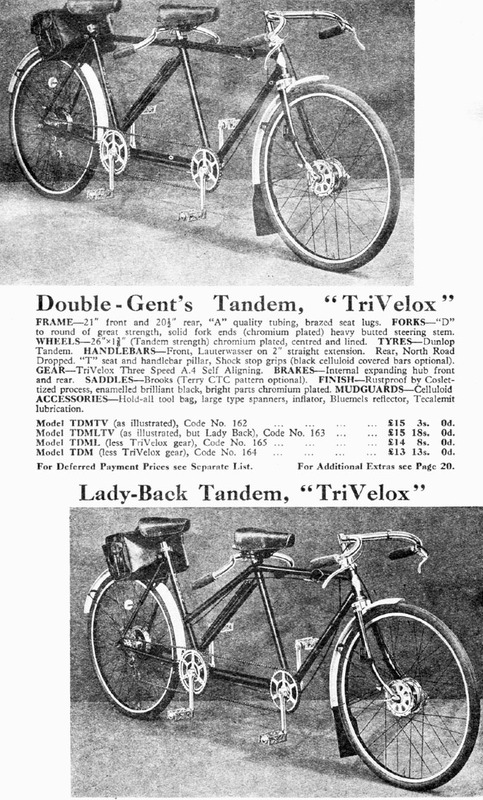 But this was the heyday for tandems and there was a lot of competition. 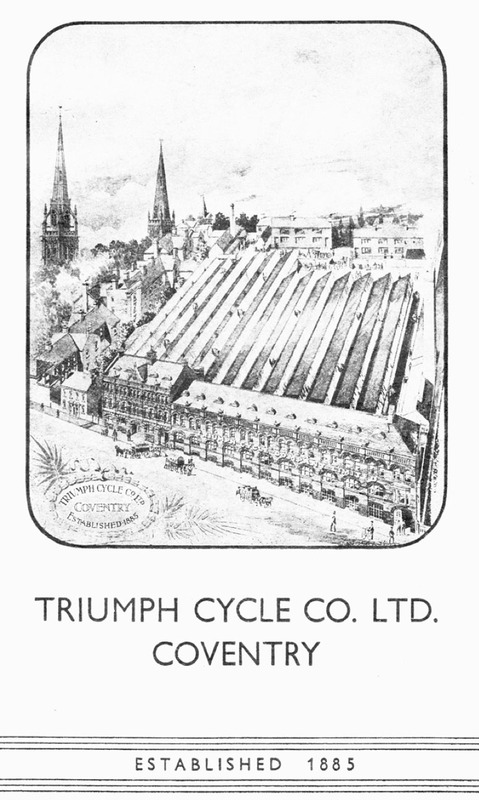 Though Triumph was one of the top motorcycle manufacturers of the time, they were not one of the major players in the cycle market. 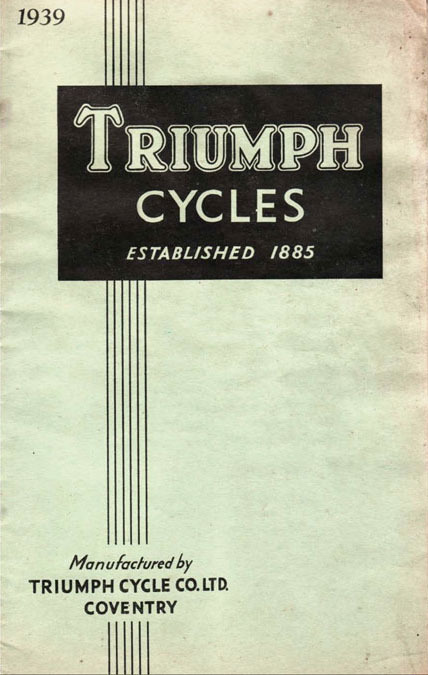 Because they did not produce many, there are very few pre-war Triumph tandems still in existence. 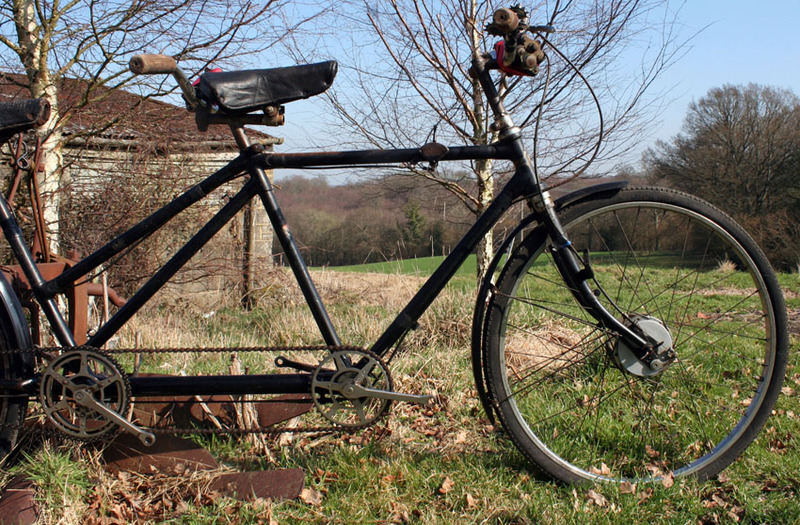 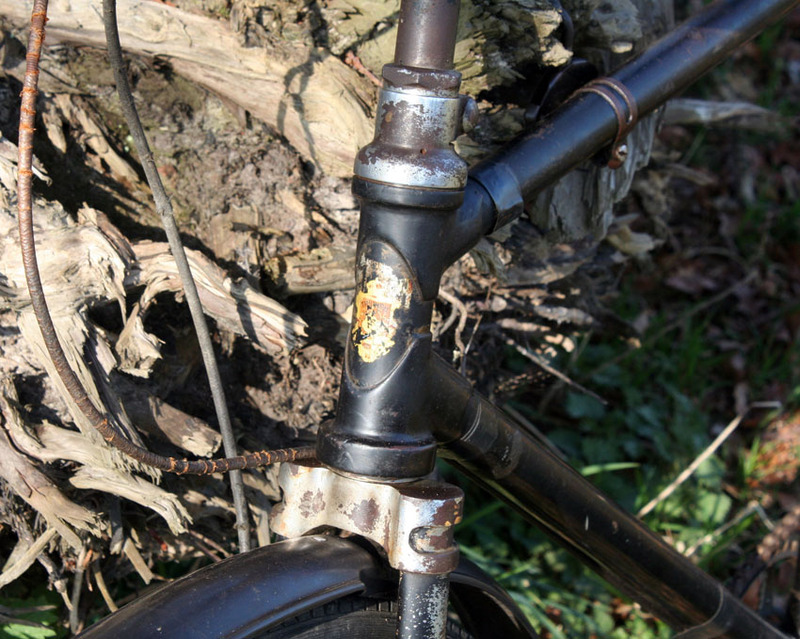 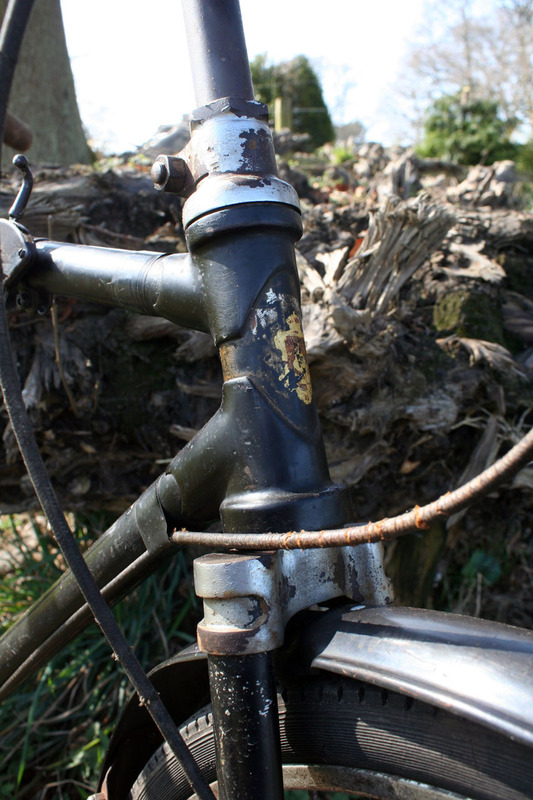 This one is in good original condition, with its original transfers intact on the headstock and on the seat tube. 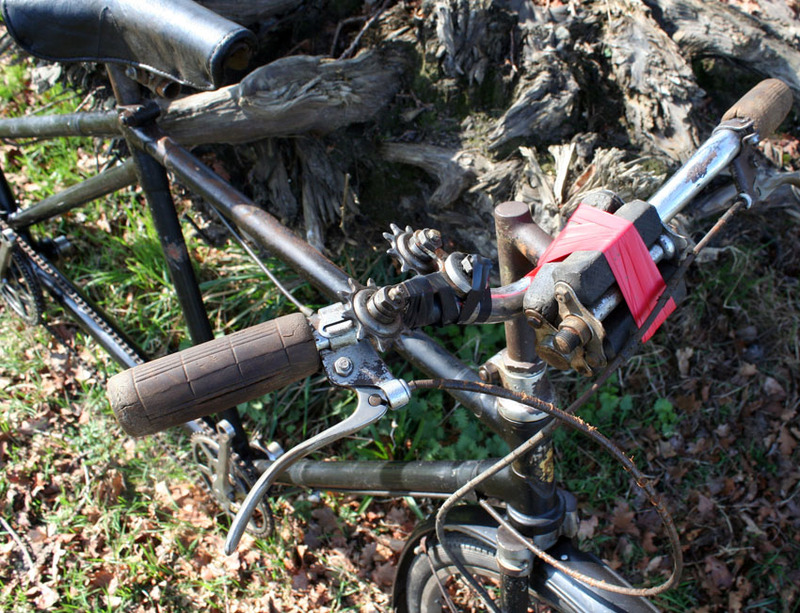 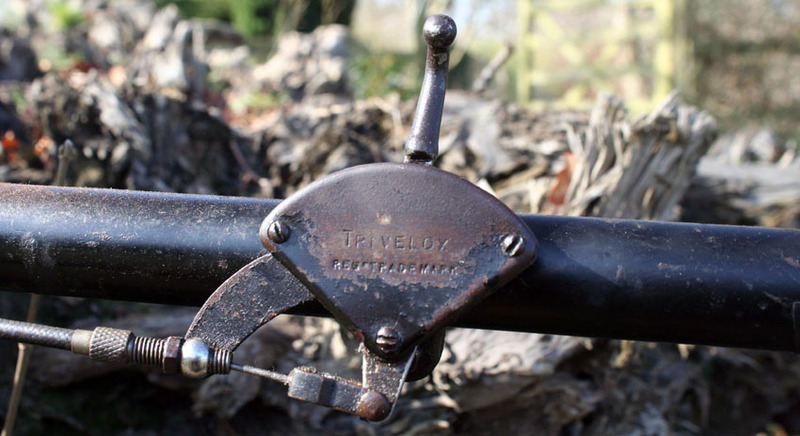 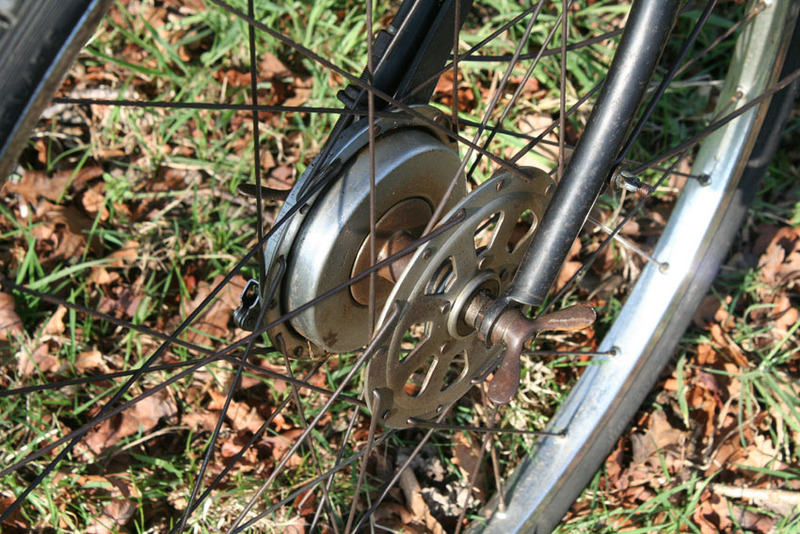 The TriVelox gear linkeage needs attention and has been removed and stored in its saddlebag. 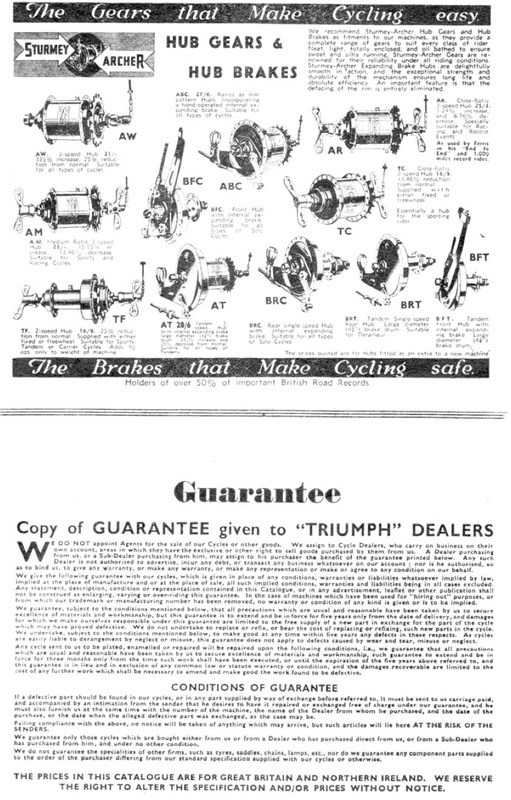 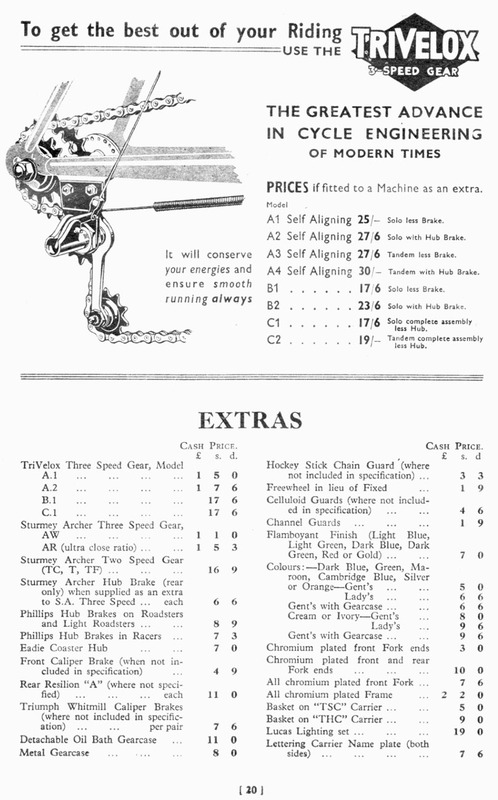 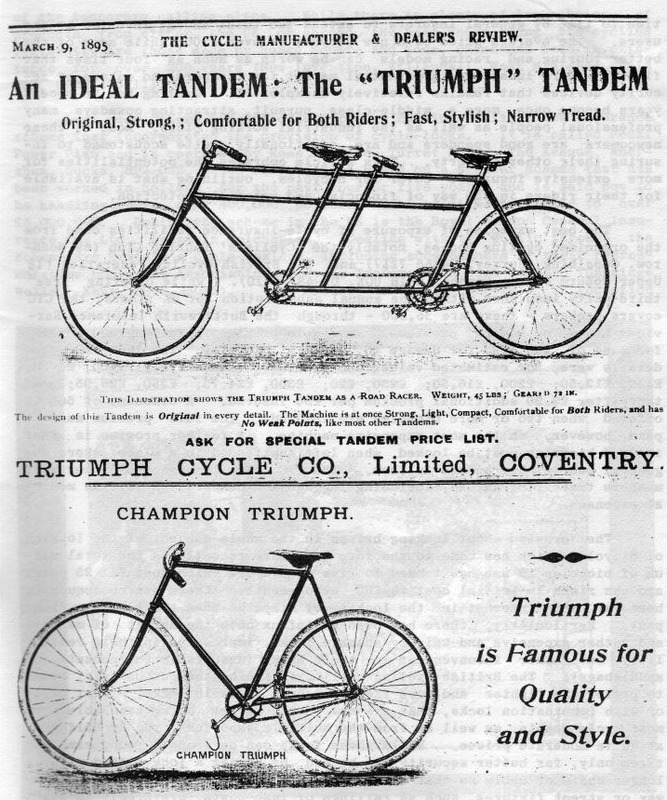 The Triumph Cycle Co was one of the top manufacturers in the 1890s, and their tandem was a well-respected machine. 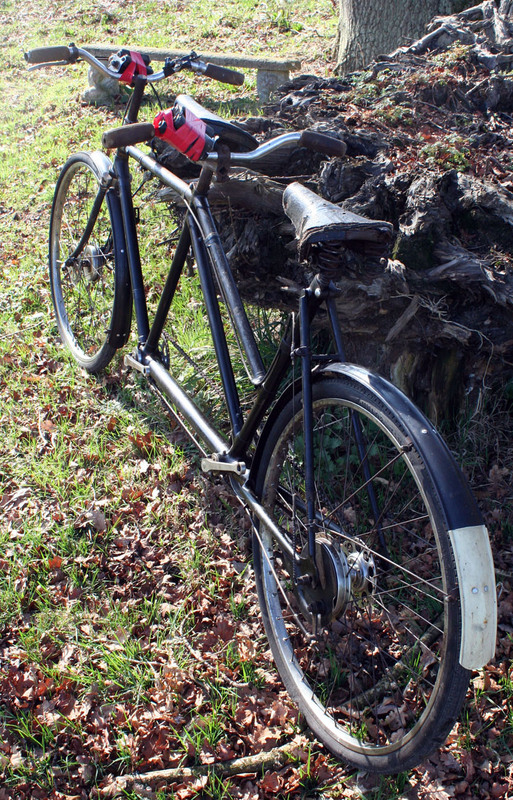 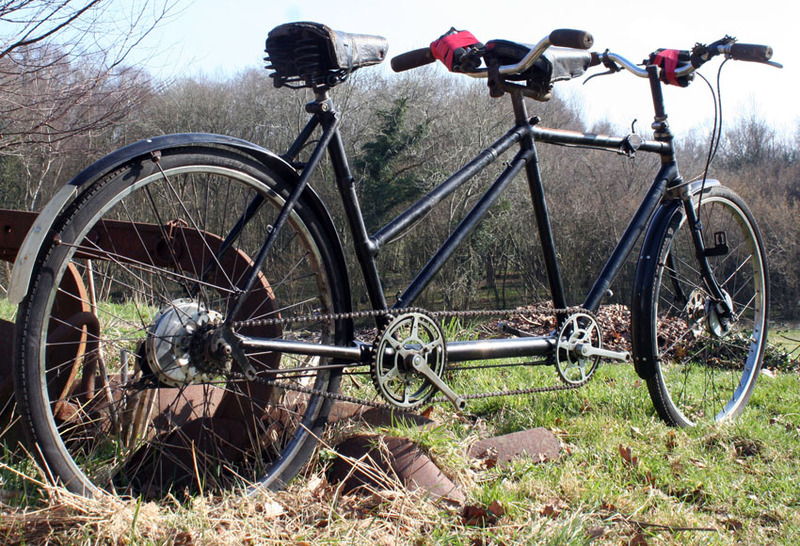 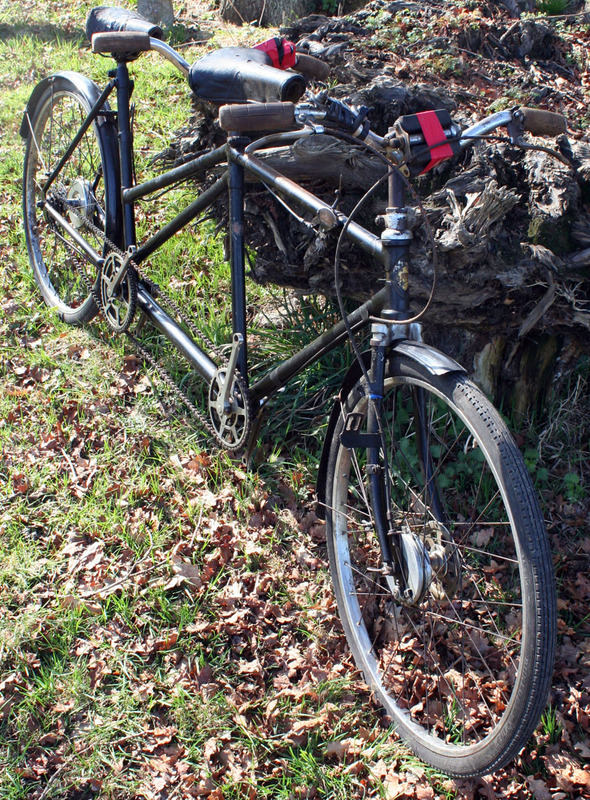 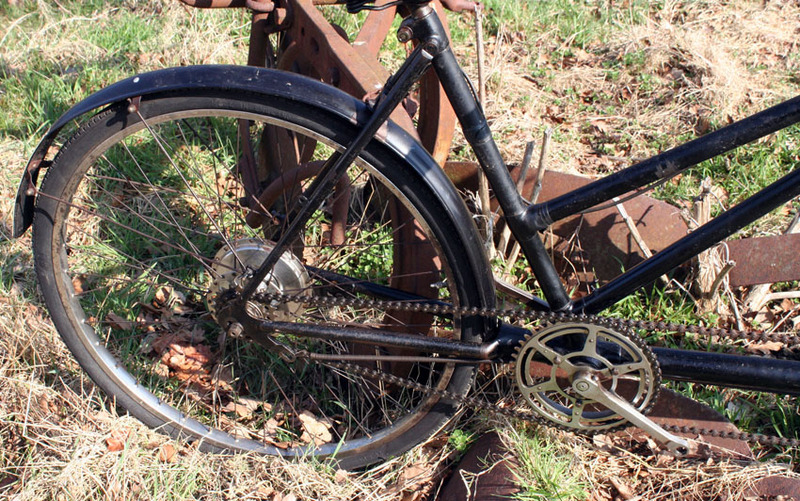 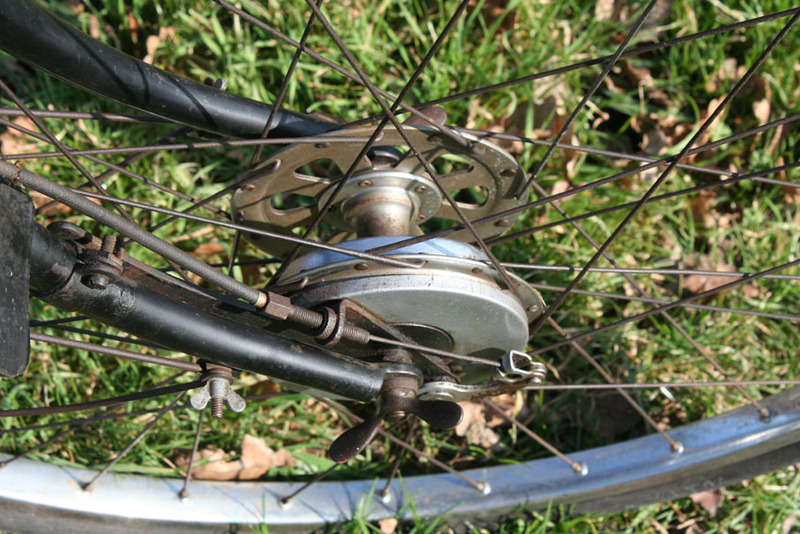 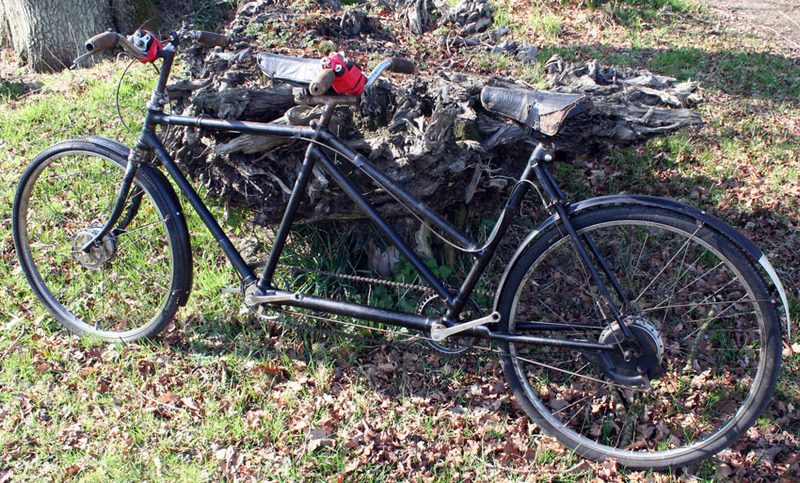 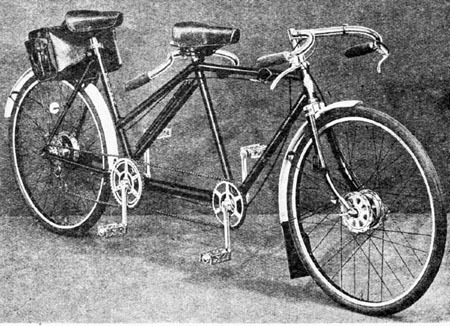 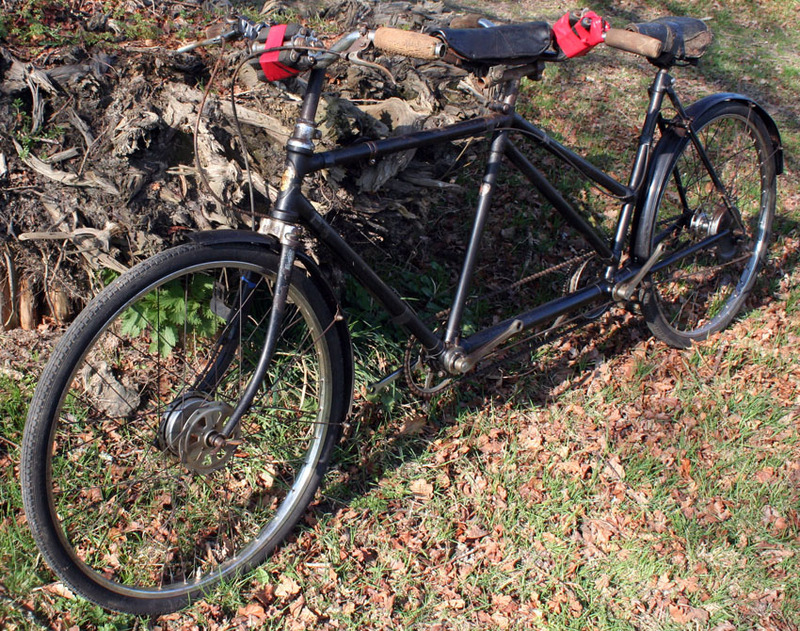 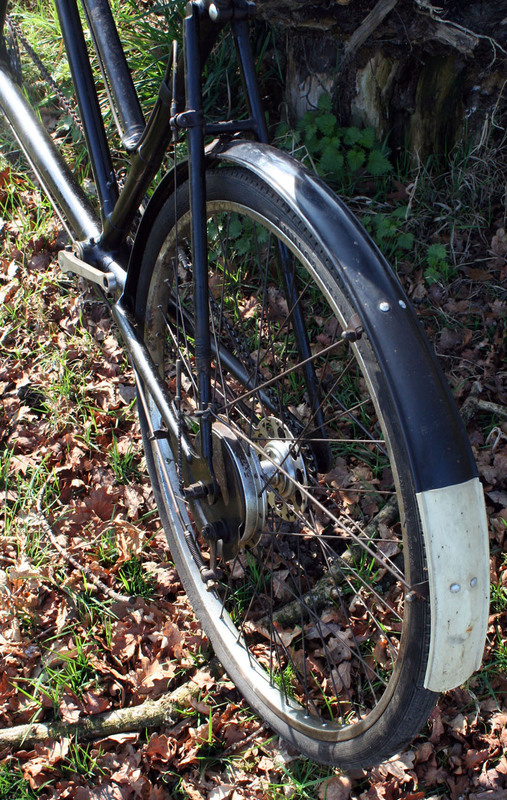 The company’s history of tandem manufacture may have influenced them to offer tandems in the 1930s.